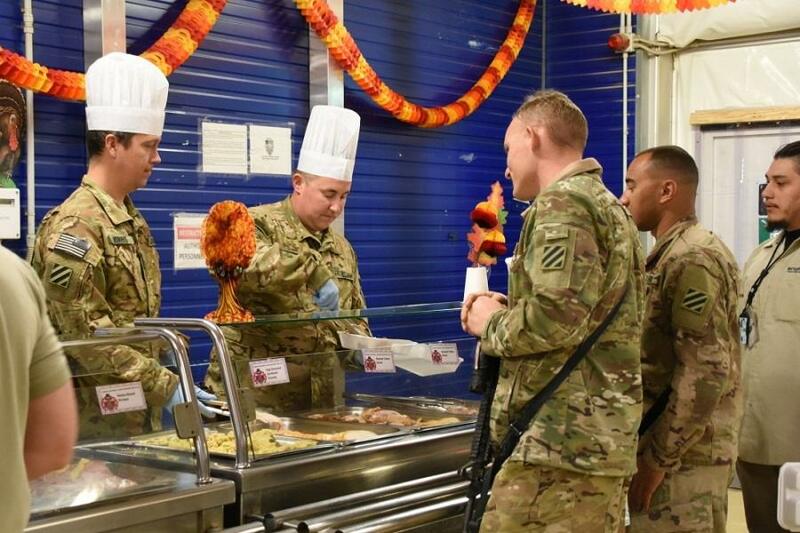 Soldiers with Task Force Marauder serve Thanksgiving lunch to fellow American service members in Afghanistan on November 23, 2017. Happy Thanksgiving to all of our nation’s brave men and women in uniform. We are especially grateful to those spending the holiday away from their loved ones. Your selfless sacrifices define the spirit of Thanksgiving.